I m not able to login to tCloud or tStore. I tried resetting my password using the reset link on email. 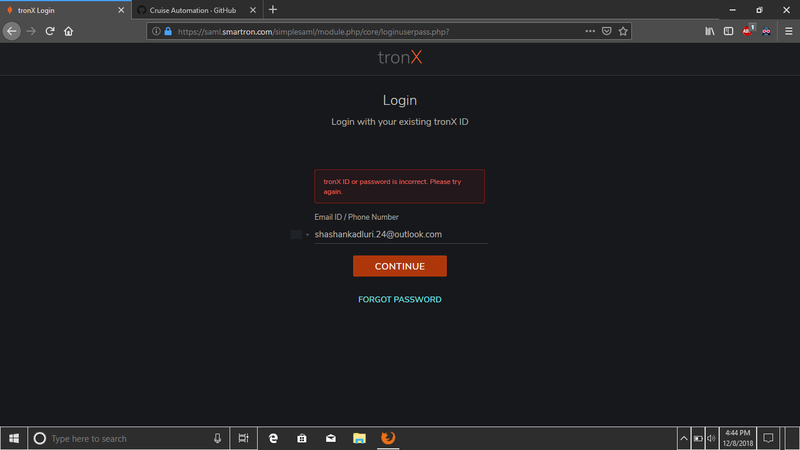 Even with new password I get same error message as tronX ID or password is incorrect. I tried the phone number but didn't receive any OTP to login. Please assist and if u guys are making some changes or update let users know via announcement on forum. Check comments with update on this topic. I don't use any of these services by Smartron. I am able to use it for Smartron forum but not for tCloud and tStore. To check you can do it on their website. Like to check tCloud go to tCloud.smartron.com and see. No need to logout on device. For me issue of login is kind of resolved. 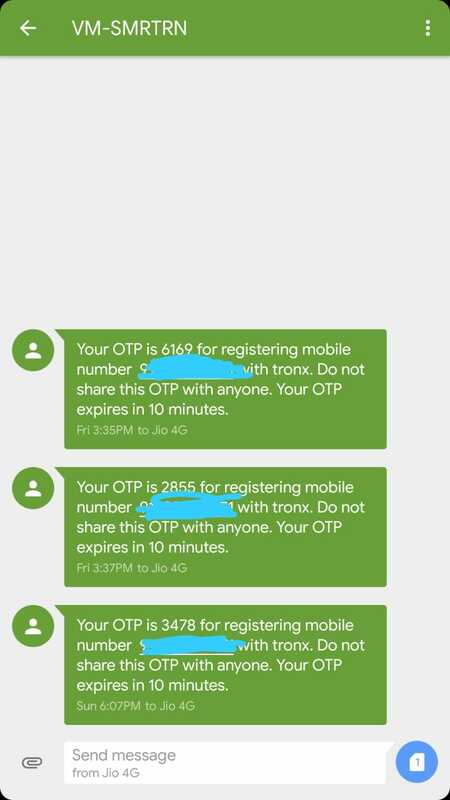 I can't use my email and password to login but using mobile number and OTP is possible. May be single sign on (SSO) for tronX services is implemented by Smartron. I am not using any of the services provided by smartron except this forum which is already logged in. But I did try to login on tronX cloud & tstore but says login ID or Password is Incorrect. Thanks for the info @Sushi_Sing will not log out from forum for now. Well you can log out and login. Just use your phone number which was used at the time of registration and login true OTP. I am trying to login into tcloud and tstore through phone number but not receiving the OTP. Even I was not getting OTP yesterday, but today I got it. Try after 24 hrs. Hope it works. May b Smartron is making some changes so only people using Smartron devices can use their services. tCloud gives unlimited cloud storage to srt users for life time. That is a big deal. Anyway I am not using cloud but still I will try after sometime to see if i can log in. Thank your for the info and yeah I tried it on desktop. I am unable to log into via my email id. It is constantly asking to put correct email id. I even tried forget password route but it also failed me. Though I am yet to try the OTP option. @Abhishek_TV is also not releasing any information about this on this forum. Are they implementing some new update ? Unlimited cloud kinda enthralling. I uploaded almost 10GB of my projects and files through desktop. Waited to ask the question, How long will Smartron support it's cloud? They will continue it. I hope so. @Sushi_Sing Not getting any OTP even after 24 hours. I was testing on secondary SRT phone and now I am no longer able to login to the forum. Same issue I am facing on desktop. Tried everything, from forget password to OTP. Nothing is working. Also in t.care app, there is no executive available for chat. My email is also gone unanswered. Now this is making me nervous. There is hardly any update from @Abhishek_TV or @RohitRathi on this particular issue. @Abhishek_TV is not answering to anyone in forum from last few days. He is disappeared from 4th Dec. Kind of alarming as @tcare is also no answering. Strange . Not receiving OTP and cant login using ID Pass. Today I got the OTP but now it is showing unauthorized access . What are the steps after OTP did you followed. Maybe because my mobile number isn't registered to my forum account, that's why I am getting that message. How did you login @Sushi_Sing ? I hope they aren't closing down the company. Why Smartron moderators are not replying back anything ? If @Abhishek_TV is on leave, someone should have moderating this forum in his place for the time being so that users get their query answered. You have to first register your number with tronx services on SRT or any Smartron device you have. I just used my registered number to login. And entered the OTP. Nothing special. @Abhishek_TV or @tcare or someone should take care of such things when Community manager is on leave.